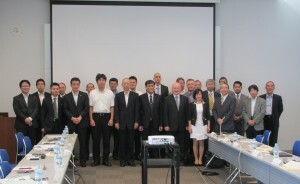 The 9th CITA Regional Advisory Group Asia/Australasia (RAG AA) Meeting was held on 19 June 2015, at Tokyo Big Sight Conference Tower in Tokyo, Japan being hosted by Japan Automobile Standard Internationalization Center (JASIC). Chairman Nguyen Huu Tri delivered an opening speech to the 9th CITA RAG AA Meeting. 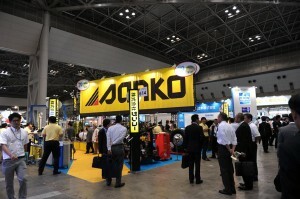 Executive Director for Planning of National Agency of Vehicle Inspection of Japan. The Meeting was attended by 22 delegates from Austria, France, Japan, New Zealand and Viet Nam. The 9 th CITA RAG AA Meeting was officially opened by Mr. Nguyen Huu Tri, Chairman of RAG AA, and Deputy General Director of Vietnam Register. He extended his warm welcome to all delegates to the Meeting. He expressed his appreciation to JASIC for hosting this meeting in Tokyo, Japan in conjunction with the 34th Auto Service Show 2015. Following, Mr. Yosaku Oda, Executive Director for Planning of National Agency of Vehicle Inspection of Japan, delivered Welcome Address.